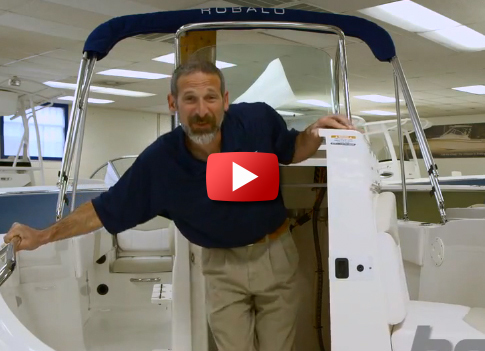 The R180 may be the smallest model in the Robalo fleet, but it has the huge heart of a serious fishing boat. 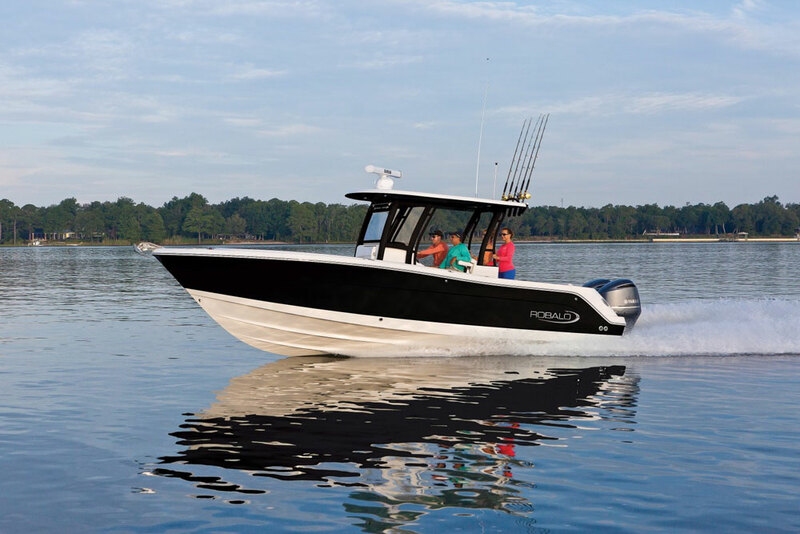 The Robalo Boats R180 is a new model that follows an old Robalo formula: built a stout, heavy boat for the LOA, give it lots of deadrise, and make every component tough. Net result? 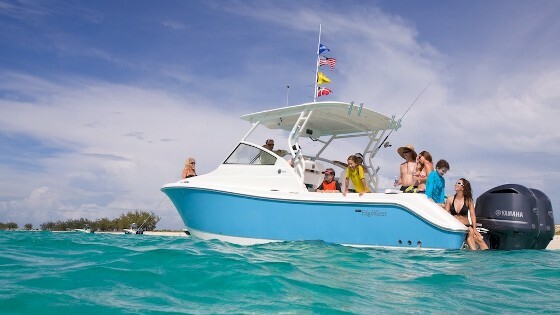 An 18-footer than rides and feels like a significantly larger boat. The R180 offer big capability in a small package - and at a reasonable price. The R180 tips the scales at an eyebrow-raising 2,600-lbs. That’s a whopping 500 to 1,000 lbs. 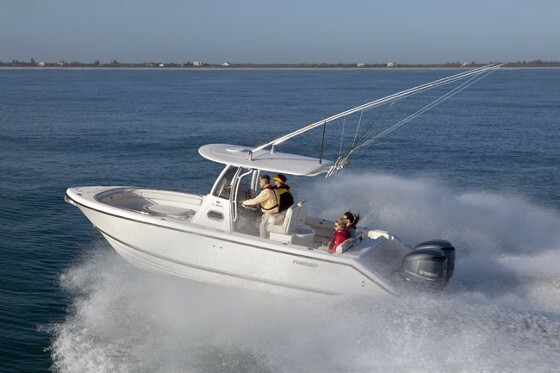 more than most competing 18 foot boats, and all that mass gives this boat a unique ability to bully waves out of its way. 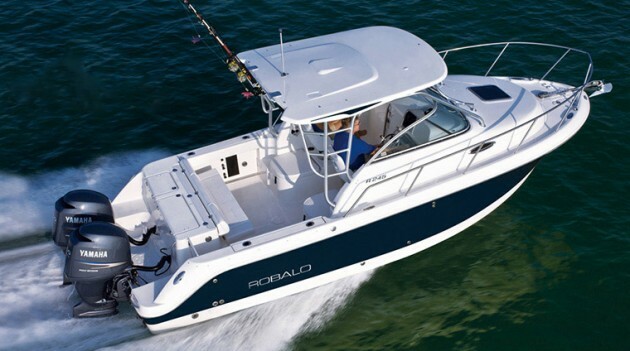 Part of all that heft comes from Robalo’s overbuild-it construction techniques, which include a hand-laid hull, molded fiberglass stringers, and welded stainless-steel rails. 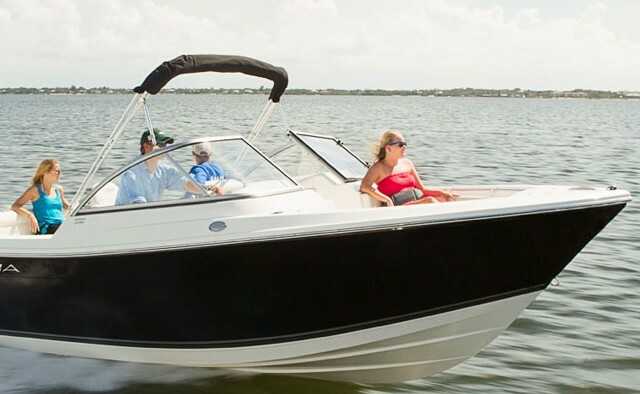 But the stocky feel is matched by a stocky design, with high gunwales and a tall bow that will provide a feeling of safety, especially when kids are aboard. The down-side to those tall sides and beefy construction? 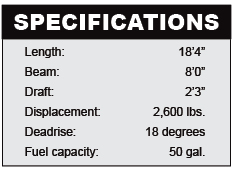 More windage, a heavier tow, and less speed and fuel economy than lighter, shorter boats with less weight. For those of us who prefer a rock-solid feeling underfoot, it seems like the tradeoff is more than worth it. Pricing is another high point for this model. With a trailer and 115 Yamaha four-stroke, the R180 features a “no haggle” price tag of $26,220. 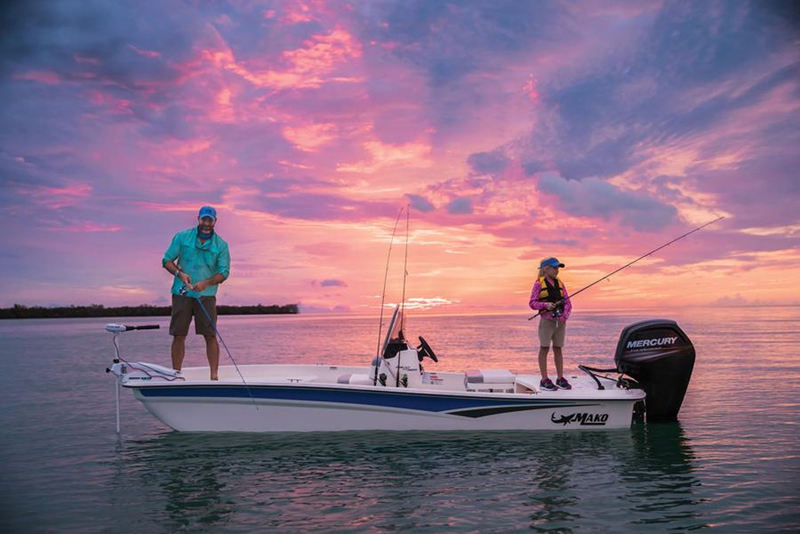 And that’s well-equipped, with a 15-gallon livewell, an anodized aluminum leaning post, hydraulic steering, vertical rodracks for six rigs, four gunwale-mounted rodholders, and coaming bolsters. Need help convincing other family members that this is a good buy? 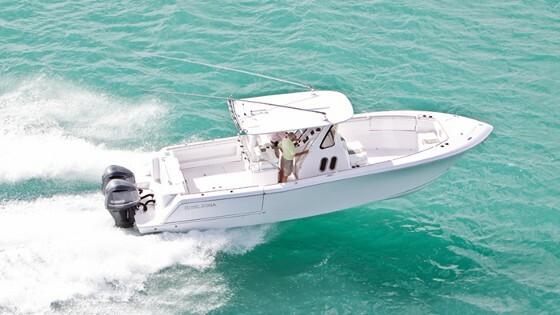 Remind Mom or anyone else that this is one of the smallest, least expensive boat-motor-trailer packages around that comes with a center console head compartment. I was shocked at how easy it was to enter the head—in most boats this small, even a skinny guy like me has to contort a bit to enter the console—but in this case the entire front of the console swings open. The bottom line? This is one of the biggest 18-footers on the water. 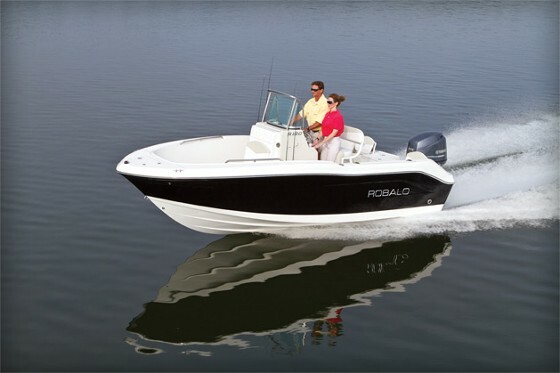 And while it might be a new model, Robalo’s heavy-duty attitude comes through in spades. Short, stocky, rugged spades.